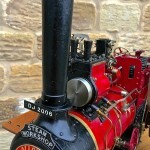 Here we have an extremely rare beast indeed! 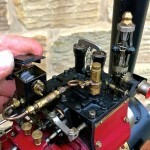 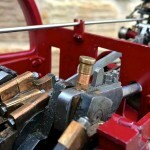 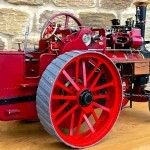 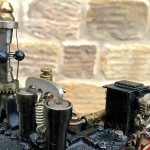 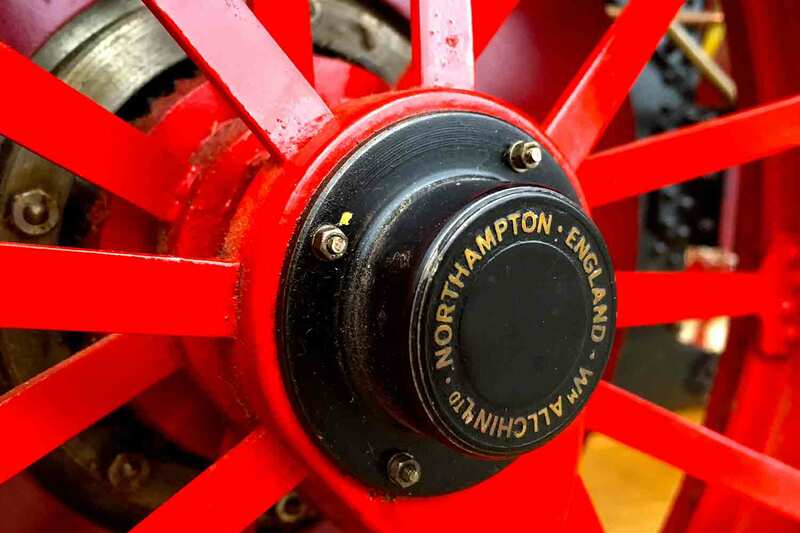 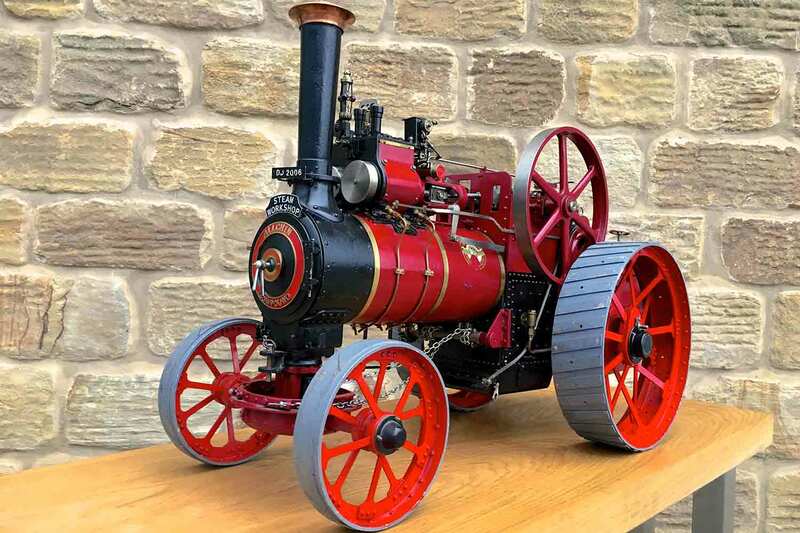 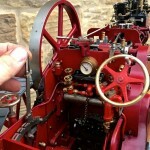 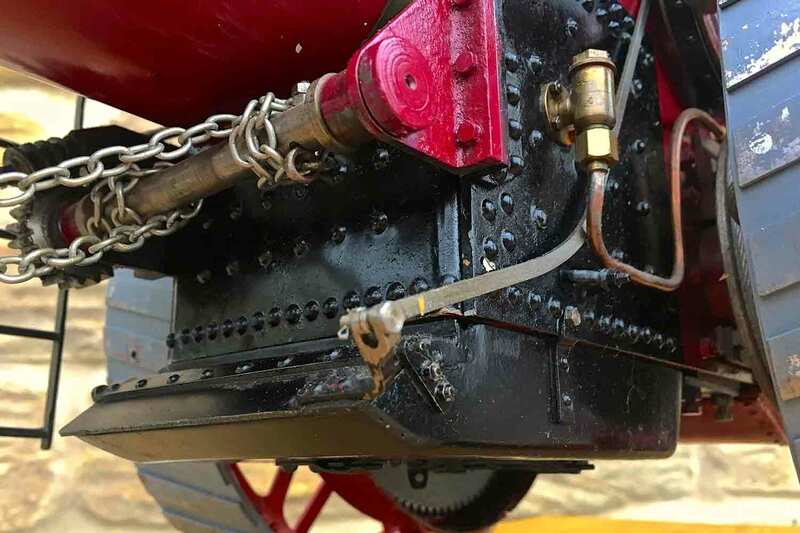 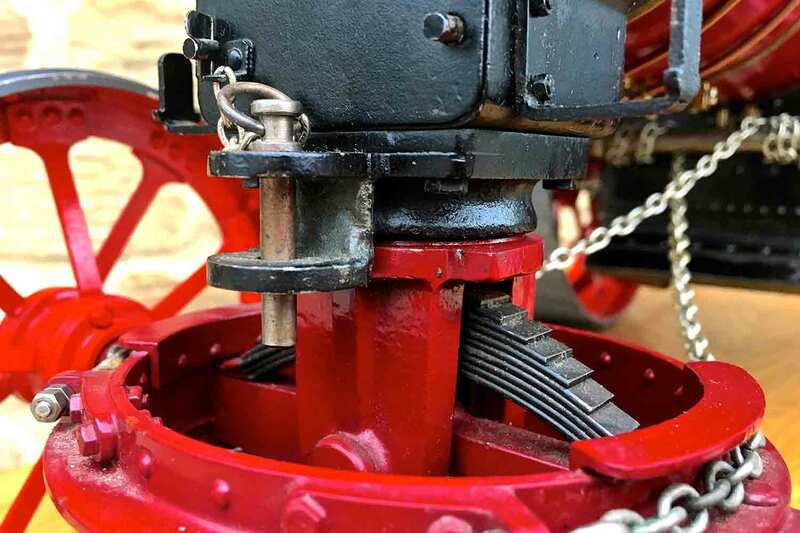 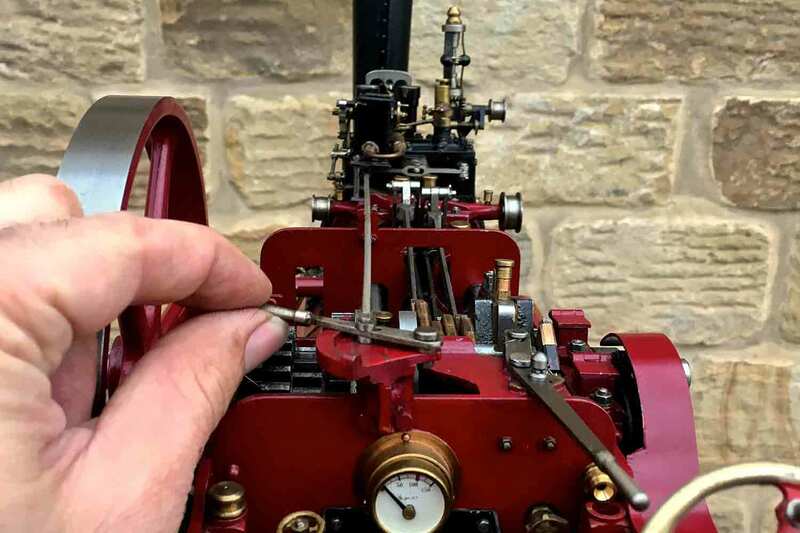 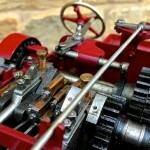 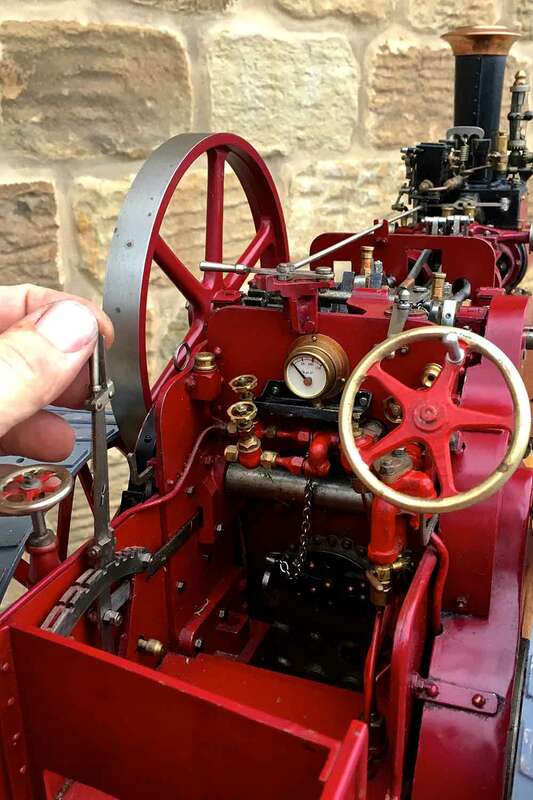 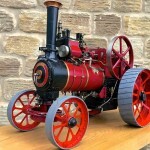 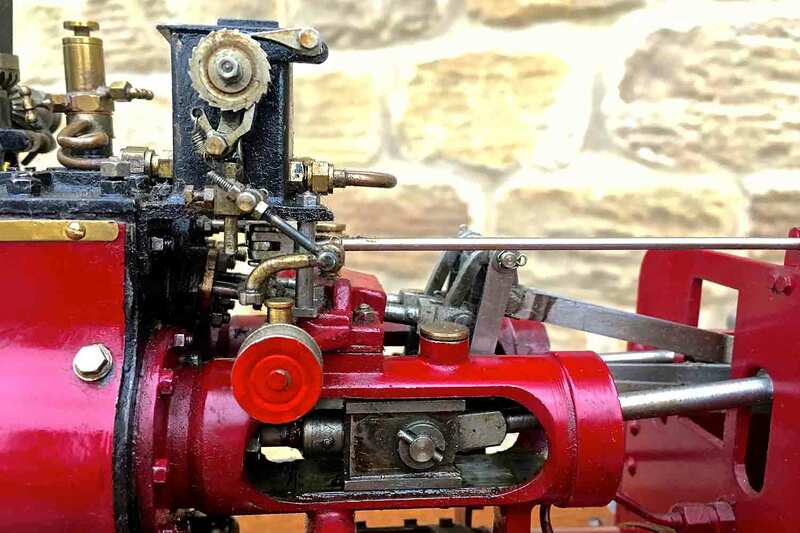 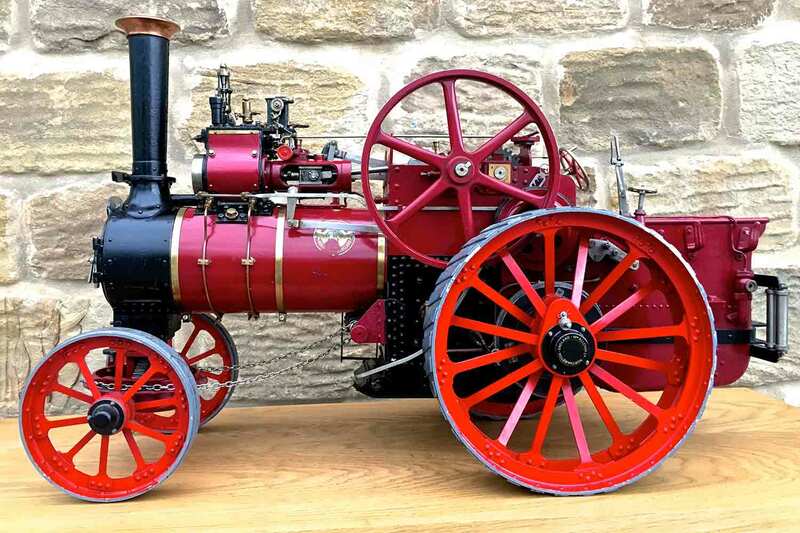 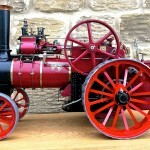 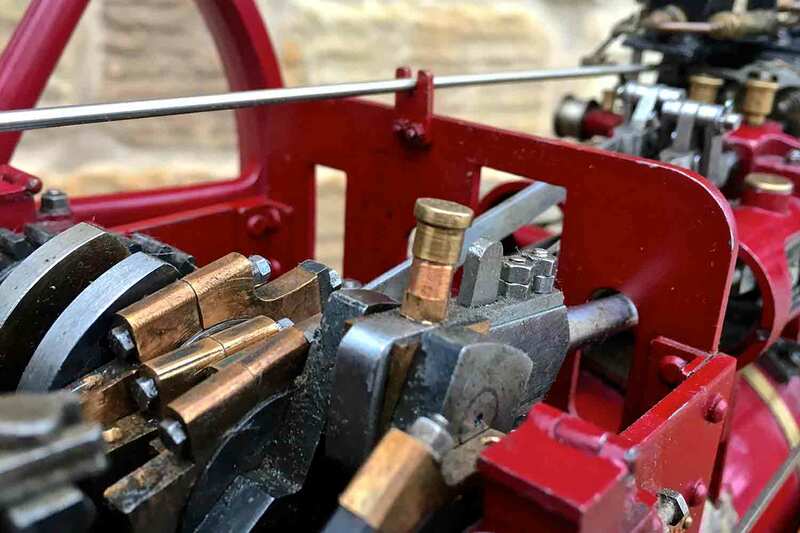 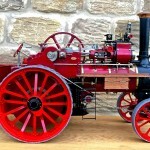 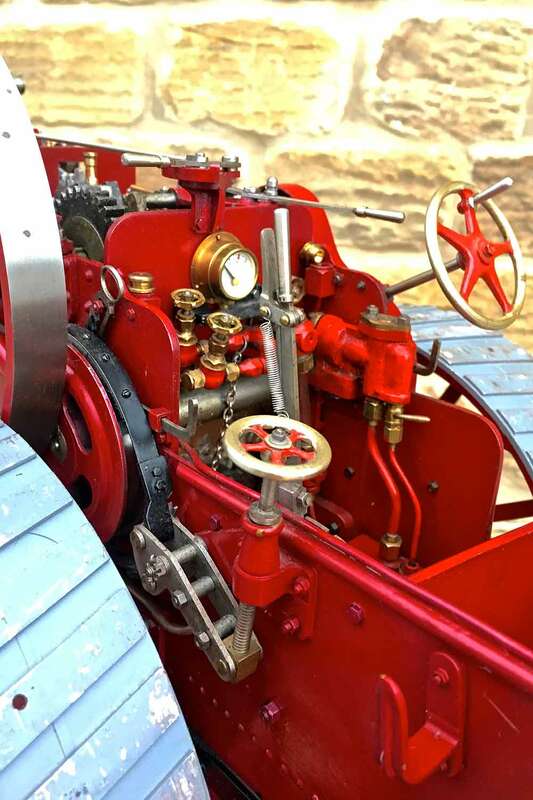 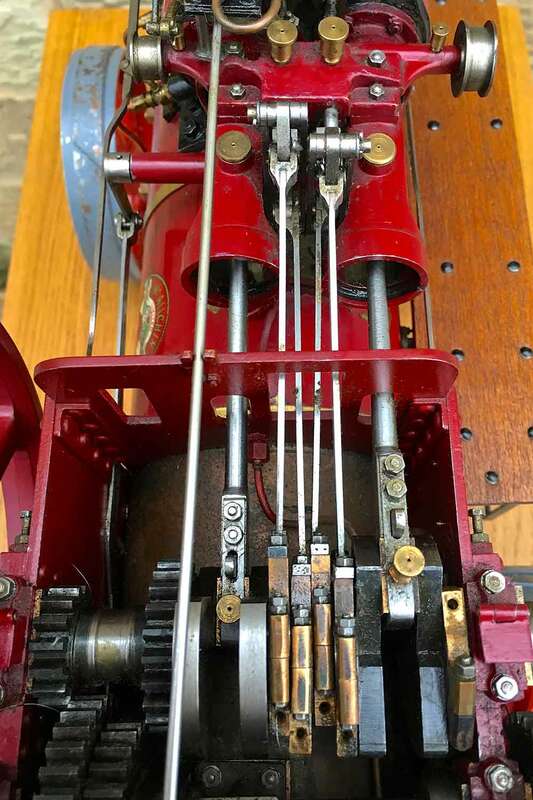 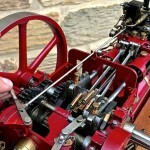 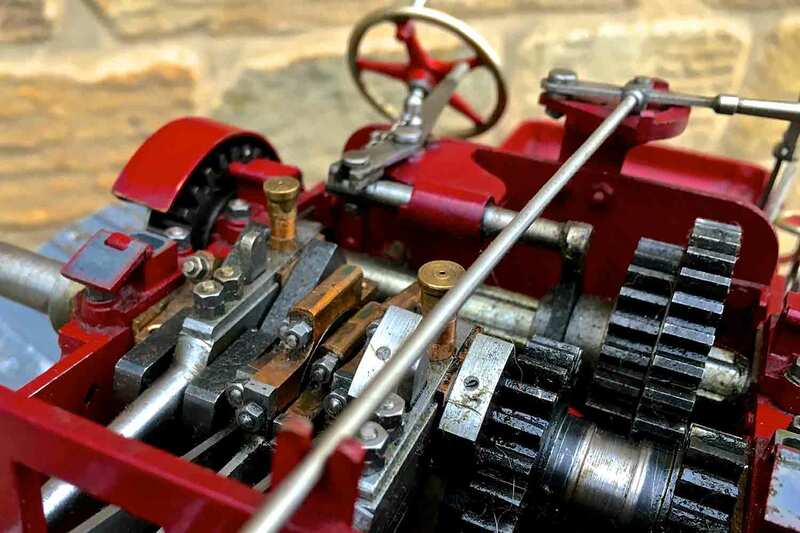 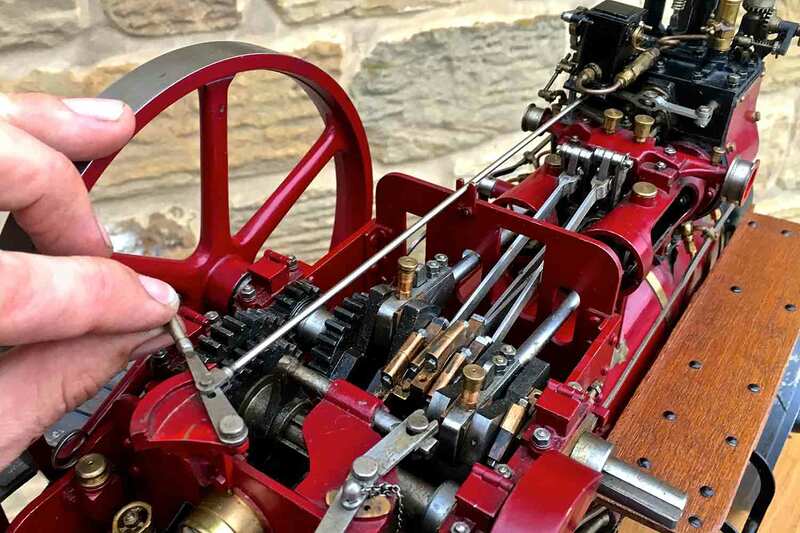 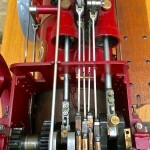 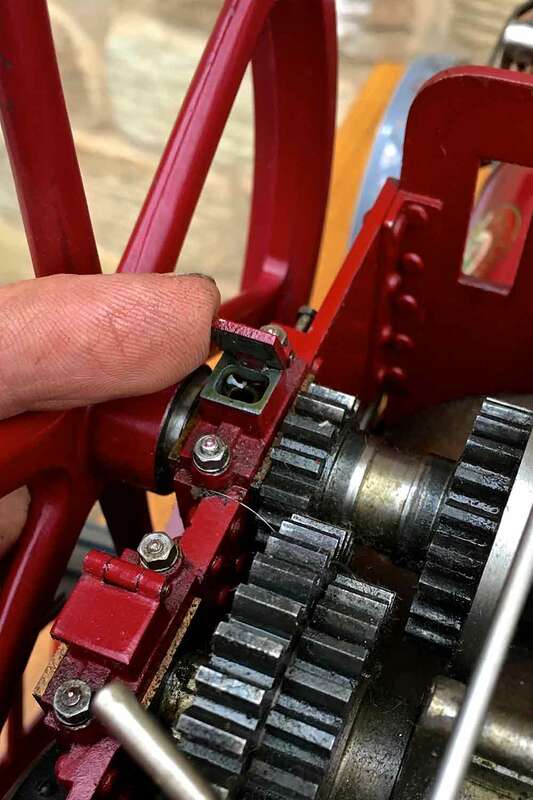 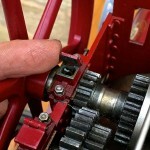 It’s another rather beautifully made 1 1/2″ scale Alchin to the Royal Chester design,….. but,….. this one is the twin cylinder double crank compound version! 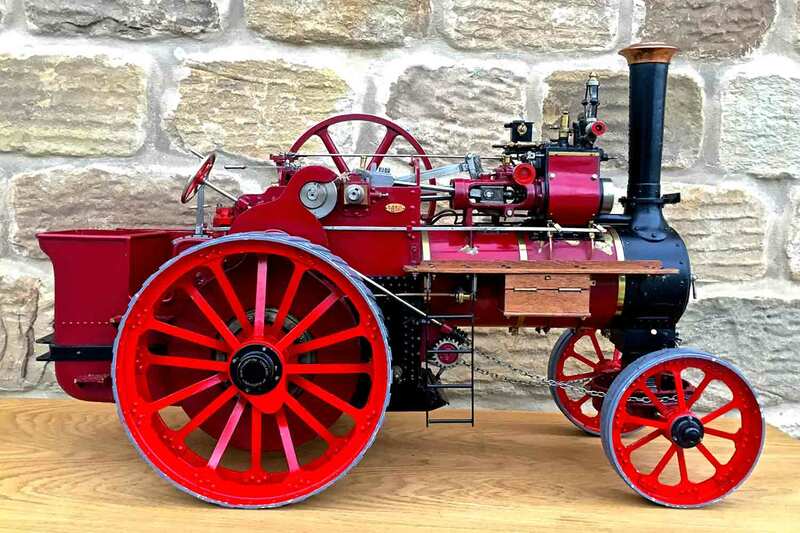 Royal Chesters always seem to be built by skilled model engineers, and this one is no exception. 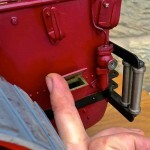 The drawings are fairly well detailed, and so the model tends not to be attempted by beginners. 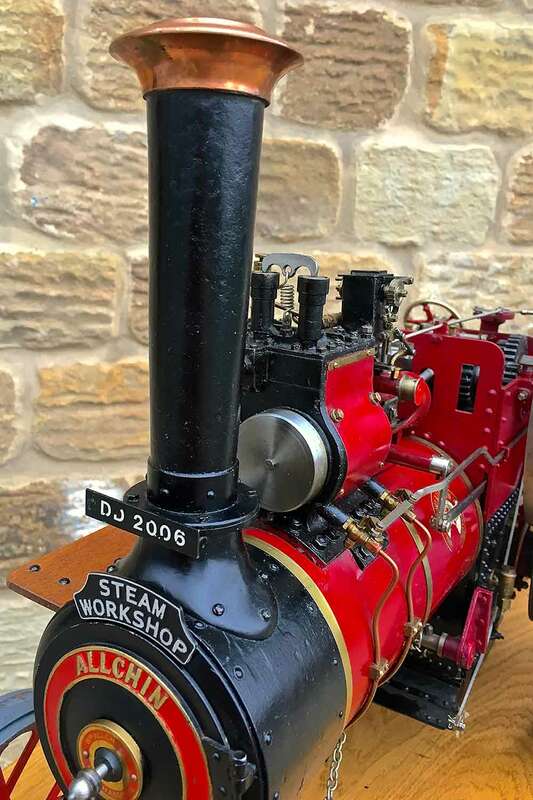 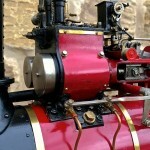 This one is unsteamed, and mechanically it is brand new and runs very well on air. 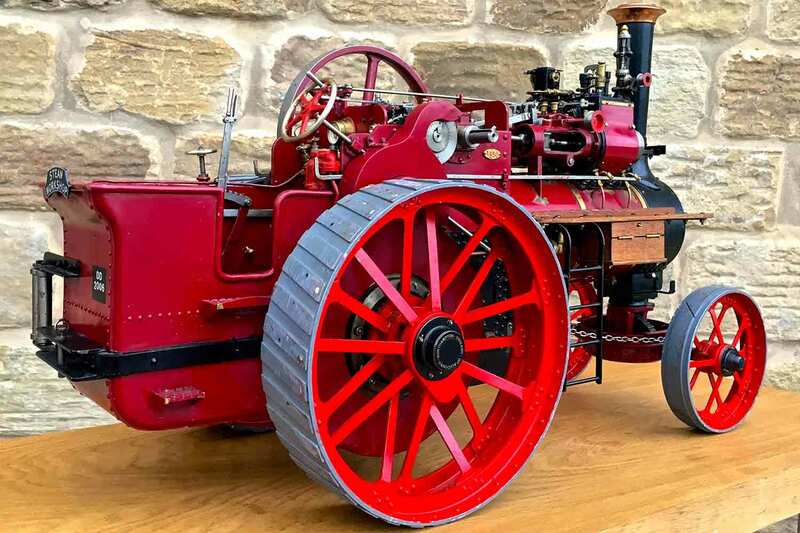 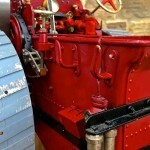 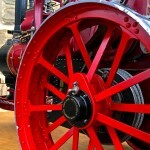 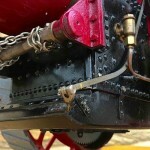 It is again a very well built example that has been on display in a private collection for some time. 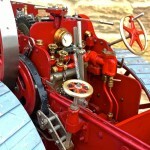 All the details are there, water lifter, injector, crank shaft pump. 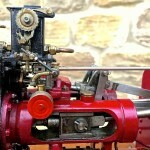 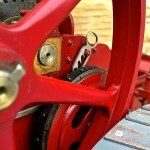 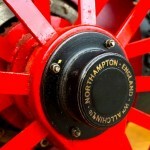 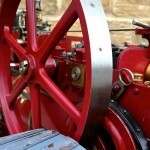 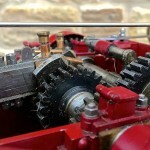 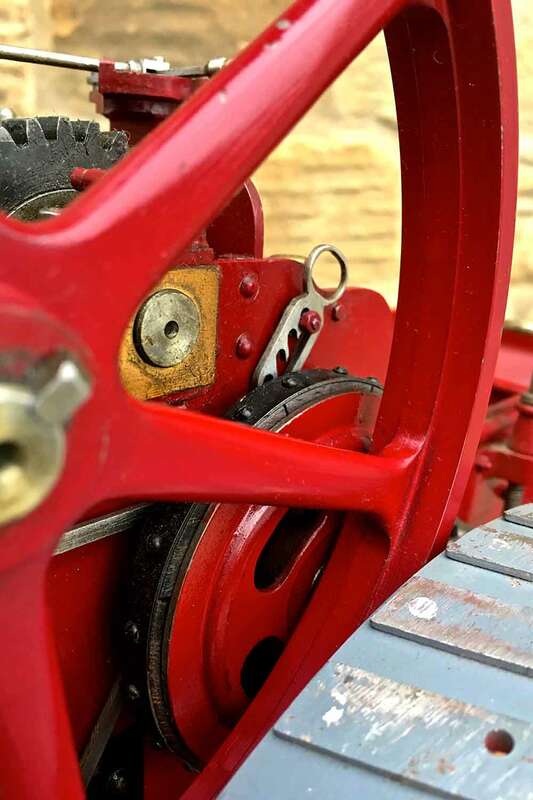 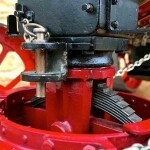 mechanical lubricator. 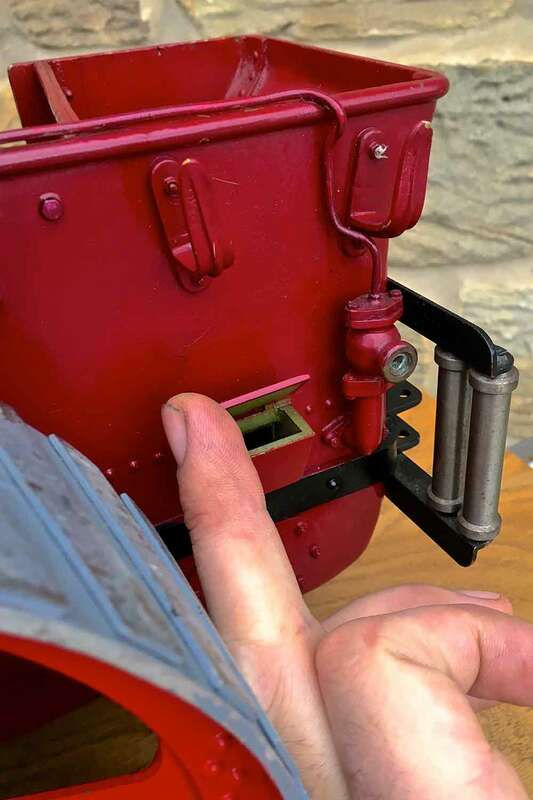 The paintwork is the only area where this one is a little plain, and there’s a bit of paint loss on the barrel under the cylinder block. 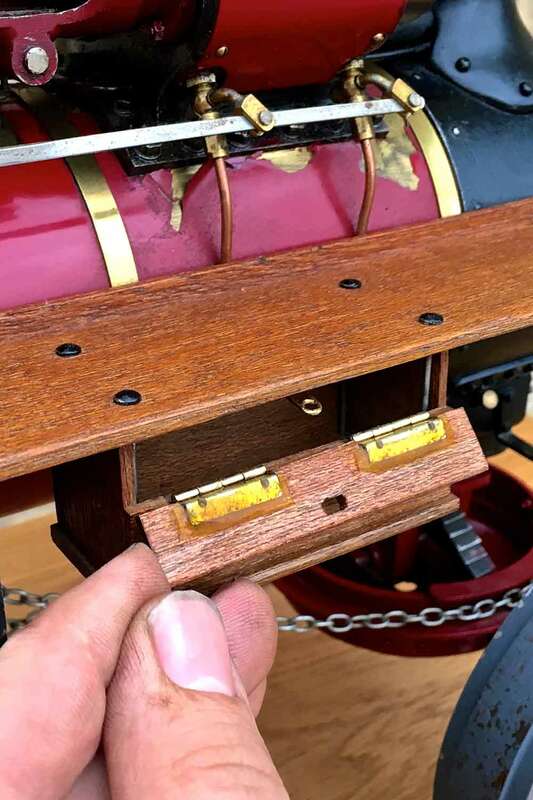 There’s no lining on her at the moment although the paint it’s self is a nice shade and neatly done. 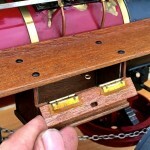 Hopefully the photos ought to do the model justice so that you can see what you are buying. 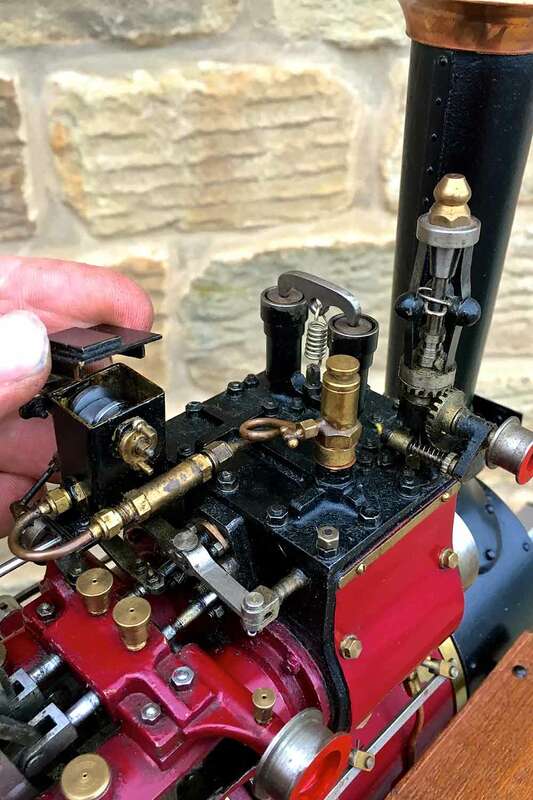 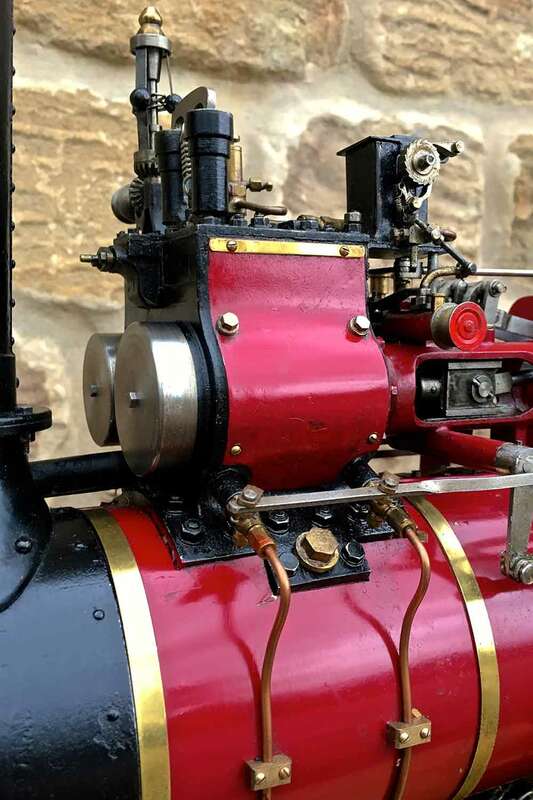 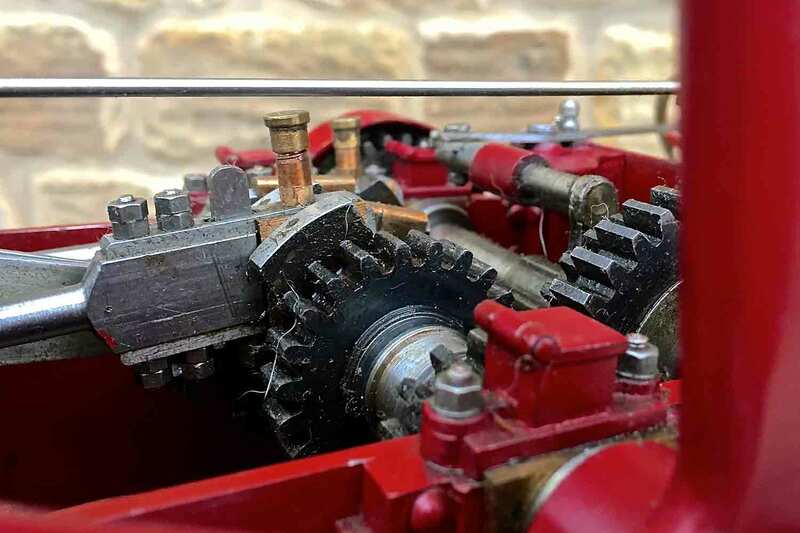 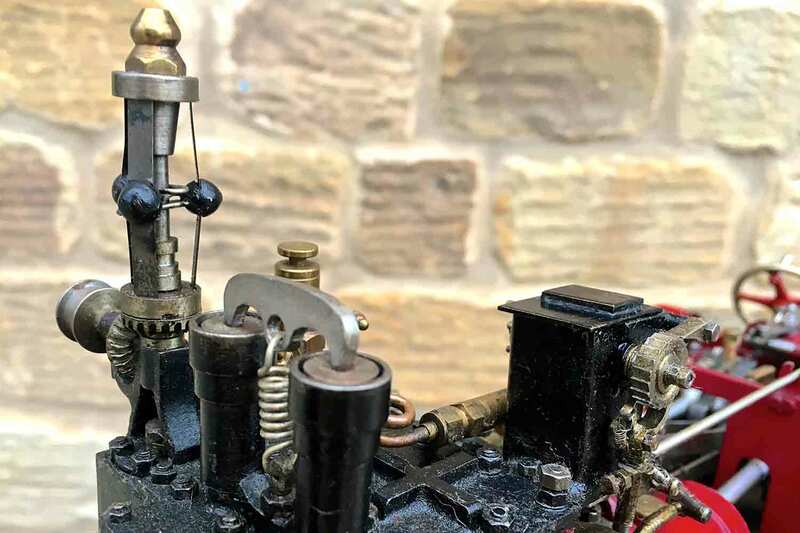 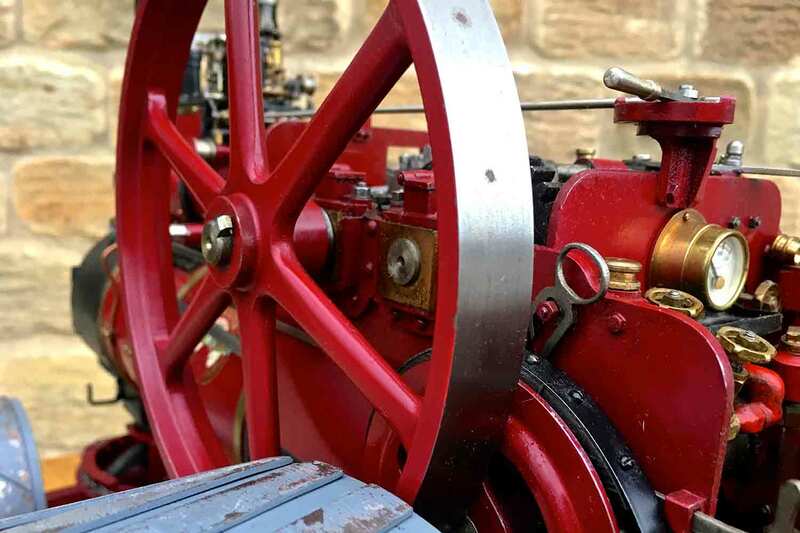 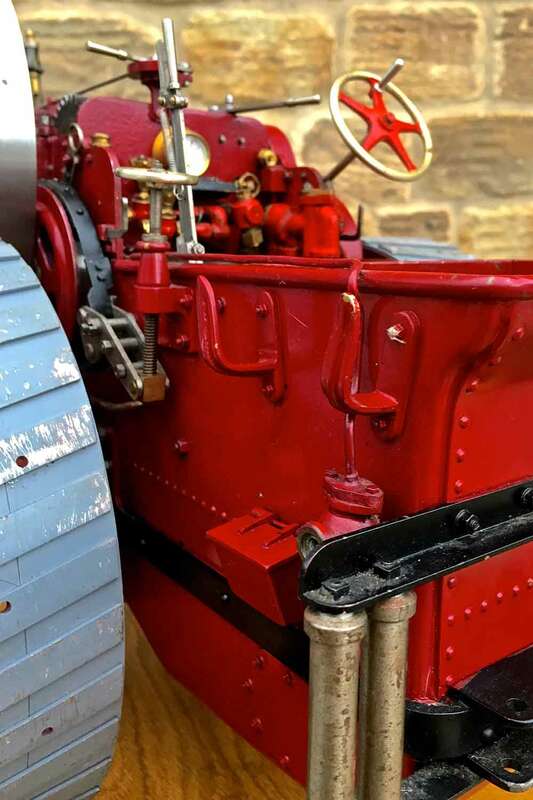 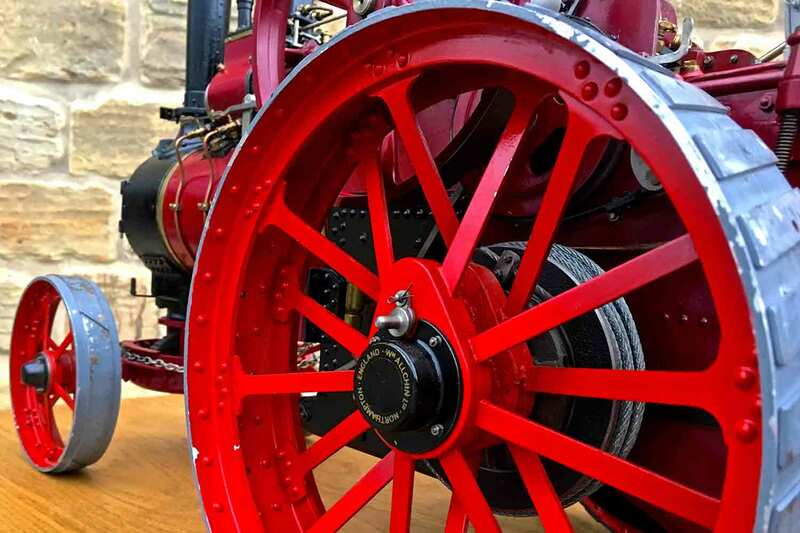 As with all our completed and ready to go models, she can be given a full 4 year hydraulic boiler test on the copper silver soldered boiler, and a fresh annual steam test as well should you wish to run her.